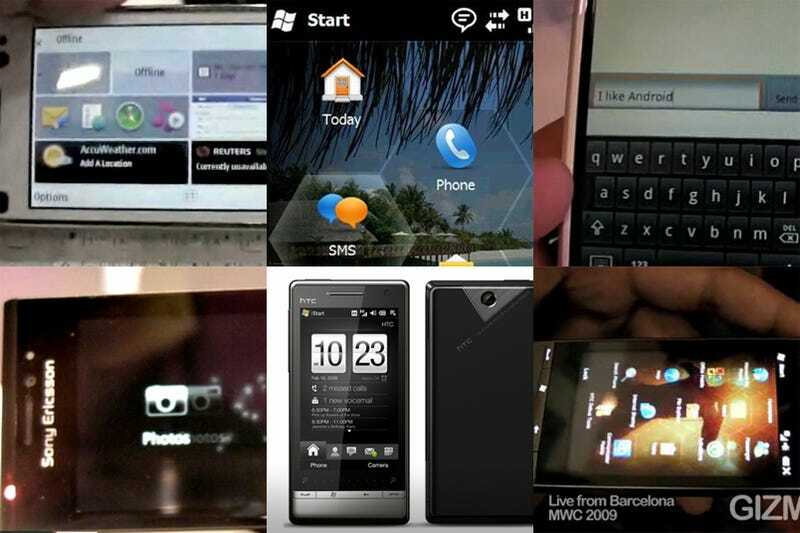 Despite the new HTC Magic, the Sony Ericsson Idou, and Windows Mobile 6.5—which still is not Windows Mobile 7—the Mobile World Congress was a bag of lame. Some blame the economic crisis. I don't. Yeas, it's one of those phony industry awards. The Storm named as the "Best Mobile Technology Breakthrough". "Press and be impressed", it claims. The BlackBerry Storm is considered a "breakthrough" by "the industry". The not quite a perfect storm, as Matt put it, with its bugs and half-baked SurePress technology. And so did everyone else on the floor. You can see people wandering the aisles, looking for something exciting, new, but everyone in the floor was kind of blah and smleh about everything. Just a mass of androids pushing around the floors, searching for nothing. Here's some of the best—and worst—of what I found. • Why Do the Android Phones Have Chins?